The Pentagon points out that it regards the flights near the Chinese manmade islands as fully legitimate because from a US point of view, the airspace over the islands is a part of international airspace. 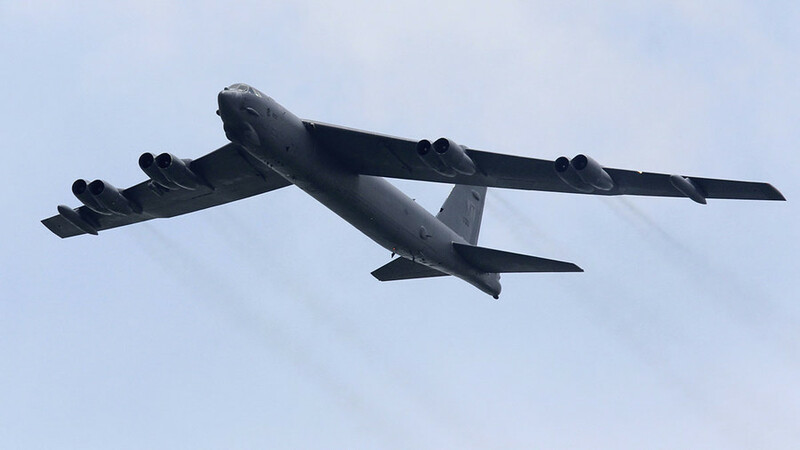 The US military spokesman added that the B-52s did not get within 12 miles of the islands. The Chinese military contacted the bombers, urging them to “get away from our islands,” according to a US official who spoke to The Hill. The overflight took place overnight on November 8-9, another Pentagon spokesman Bill Urban specified, saying there were two bombers conducting a “routine mission”. The incident comes around two weeks after a serious incident involving the US destroyer USS Lassen, which sailed close to the artificial islands. China was extremely critical of the US Navy’s actions. “These actions of the US warship are a threat to the sovereignty and security of China, and safety of people living on the islands; they damage peace and stability in the region. In this regard, the Chinese side expresses extreme dissatisfaction and strongly protests,” a statement posted on China's Foreign Ministry website read. Ashton Carter, the US Secretary of Defense, said the US will sail and fly wherever it is allowed within international law. “We will continue to fly, sail and operate wherever international law allows,” he said on Saturday in California at the Reagan National Defense Forum, the Hill reports. “It’s important to remember that America’s rebalance and this regional security architecture has never aimed to hold any nation back or push any country down,” he added. The Senate Armed Services Committee Chairman John McCain called on Carter to clarify publicly the legal intent behind such operations. “Given the sensitive political dynamics and detailed legal implications of our actions, it is vital that there be no misunderstanding about our objectives in either the Asia-Pacific region or within the international community,” McCain wrote. China is building several artificial islands in the disputed area, which is a part of the Spratly archipelago in the South China Sea, to host radar stations, airstrips and other facilities. Beijing claims the military aspect of its reclamation program is minimal and that the islands’ purpose is mostly civilian.